Now, what are you supposed to do then? Keep on working and spend more time at the office than with your kids? Or rather stay at home and renounce to all those years you spent studying and working hard to achieve something in life? What’s your choice – developing your career or throwing away everything you’ve created to take care of that little person you love more than anything in your life? What if I told you that there’s a way to have both options?? Yep! You guessed it right! Go freelance and work from home! Now, easier said than done, right? I know! Starting a business on your own means hard work, that’s for sure, and you’ll probably spend more than one night working… but you’ll be there when your people most need you! And yet you’ll be able to keep on using your mind and abilities on a business you love! ‘Cause if it’s yours, you gotta love it 😉 Now, how can you do it? How can you work from home AND be a good mom – without going crazy? ♥ First, take your time to figure out what kind of business are you going to run. Feel free to download the free ebook below if you need any help. ♥ The next thing you wanna do is schedule fix times for you to work on your business – both before you launch it and once it’s up and running. Make sure you’re honest with yourself – and don’t overestimate the hours you’ll have available when you’re still working at your current job. ♥ Then, you’ll also want to check your finances. Is quitting your job something doable right now? Or would it be more appropriate for you to start side-hustling and get your first customers before you take the leap? ♥ Next, set yourself a deadline to launch your business! If you ever feel discouraged at your decision of starting your own online business from home, never ever forget why you took that decision in the first place. And remember: Consistency is key! 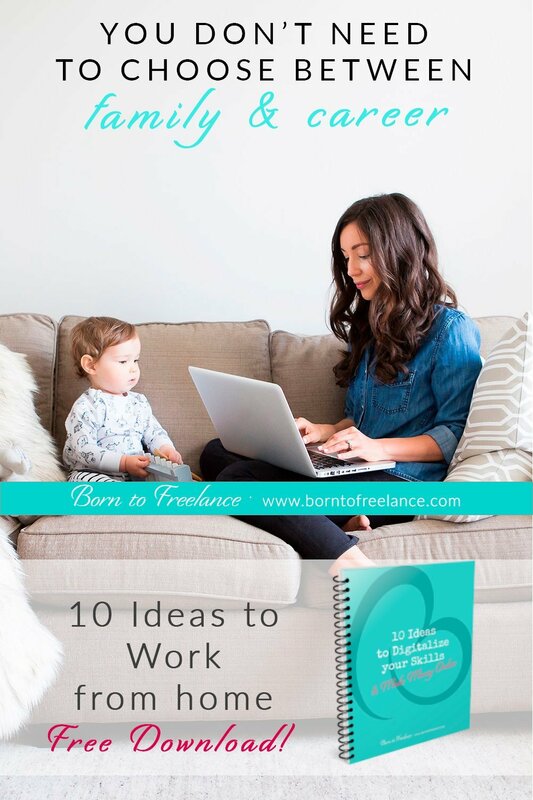 ♥ And finally, follow these 10 tips to work from home successfully. As rewarding as it is, working from home can also become a bit of a challenge if you don’t take a couple of appropriate measures. You’re going to be judged anyway, so you’d rather do what you think is best for you and your family – and forget about what people say! How is it in your country? Do you also feel judged for your decisions?